I helped a customer design this gift for her husband. 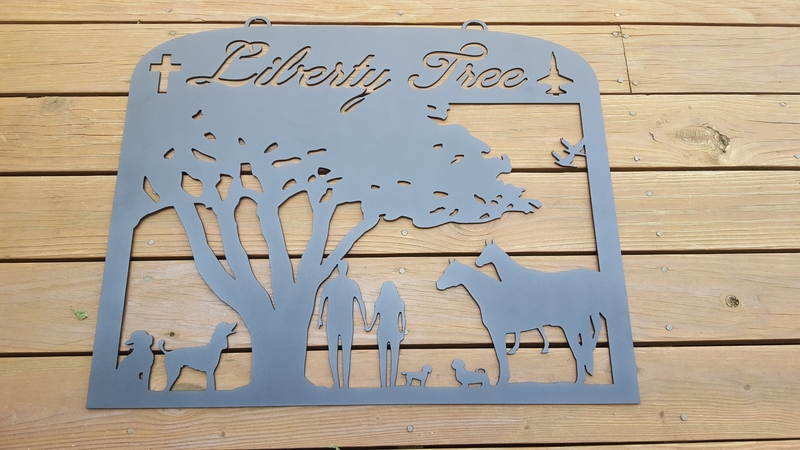 They have named their place the Liberty Tree and asked that I create a large Oak tree and place each member of their family underneath it. She asked that I include a cross since they are Christians and a T-38 jet since they met each other while he served in the military and was flying T-38's at the time. Pretty neat. She asked that the sign be cut from a heavy 3/16" plate since it gets pretty windy and she doesn't want the sign to sway much in the wind.